Inter Milan plan to sensationally hijack Juventus’ pursuit of Paul Pogba. The Old Lady outfit is expected to take advantage of Pogba’s uncertain future at Old Trafford by offering him a chance to return to Italy, and play alongside the likes of Cristiano Ronaldo and his former teammates. But now, according to Mirror, Inter have entered the fray, and they fully intend to hijack the Pogba transfer from right under Juve’s nose. 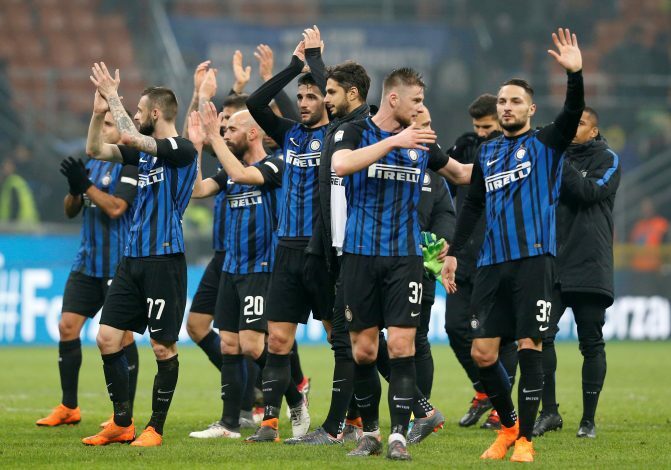 The report states that the new Inter director, Beppe Marotta, who was unceremoniously pushed out of Juventus despite leading them to seven consecutive Serie A titles, is eager to take his revenge on his former side. Marotta is yet to be officially confirmed in his new role at Inter, but sources indicate that the announcement is only a few weeks away. Once he takes over the directorial duties at the Milan-based club, however, he plans to begin work on the Pogba transfer immediately. Marotta is said to be prepared to offer Manchester United two of their biggest long-term targets: £75m-rated ­centre-back Milan Skriniar as well as £48m-worth winger Ivan Perisic. If Jose Mourinho remains eager to offload the French midfielder by the end of the season, Inter’s humongous player-plus-cash deal could help the Portuguese hit two birds with one stone. While the Italian outfit remains under FFP sanction until June 2019, it only stops them from completing signings, and not agreeing deals with their transfer targets.